Our supplied Shrink Tunnel Roller Type is durable and efficient in working. All tunnel rollers give complete reliability to the commercial patrons. These roller types are accessible in market in many sizes to meet the requirement of the heavy load working. 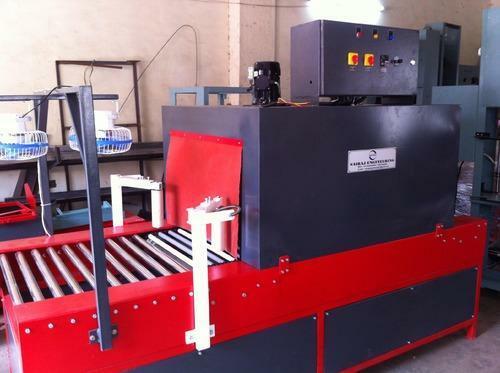 All durable machines are easy to install and operate at production area. Incorporated in 2010, our firm Sairaj Engineering is well known in the market for offering packaging products. We are Manufacturing, Exporting, Trading and Supplying ofWrapping Machines and Shrink Tunnels, Pouch Filling and Packaging Machines, Band Sealing Machines, Pneumatic Sealing Machines, Carton Sealing Machines, Box Strapping Machines, Shrink Films, Industrial Conveyors. Superior in quality and optimum in working these offered packaging machines are small in size. Best in quality, these products are finely made our engineers by the use of best mechanical components to meet the premium quality and global standards. Showing superior performance, these machines are easy to handle and install at desired place. All these products are widely demanded in logistic section of all production based industries and courier service provide agencies.